TWO GMA SOAPS are ending soon. First is the morning show before ‘Eat Bulaga’, “My Guitar Princess”, starring Julie Anne San Jose, Kiko Estrada and Gil Cuerva. Its director, Nick Olanka, says they’ve already had their last taping day and the show will end this coming week. 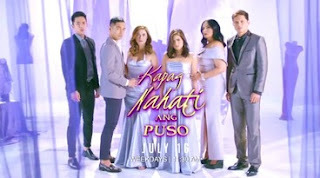 It will be replaced by the intriguing drama, “Kapag Nahati ang Puso”, which stars Sunshine Cruz, Benjamin Alves, Bea Binene, Zoren Legaspi and Bing Loyzaga. 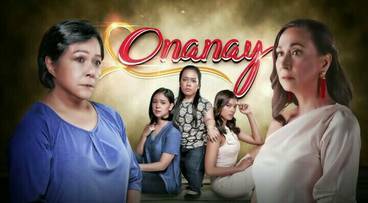 Also about to make an exit is “The Cure”, which will be replaced by “Onanay” starring Nora Aunor and new midget star Jo Berry. Meantime, three neophytes signed up with GMA Artist Center: Miss World Philippines Laura Lehmann, Miss Multinational Sofia Senoron and model Michelle Dee, the daughter of Melanie Marquez and Derek Dee. They were officially welcomed during the contract-signing by GMA Entertainment Group Senior Vice President Lilybeth G. Rasonable; GMA Senior Assistant Vice President for Alternative Productions Gigi Santiago-Lara; and talent manager Arnold Vegafria.